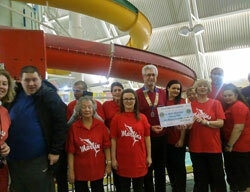 Marlins is a swimming club for people with learning disabilities and their families to have fun and enjoy the water. A family fun swim session is held on Sunday evenings at the Oasis Pool in Cardington Road, Bedford between 6.30pm-8pm. Other events take place throughout the year. For further information please contact: Rose on 07954 784795 or Val on 07973 859940.